What would you do if you won tens of thousands of dollars in the lottery? That's exactly what 31 real estate agents were able to ask themselves last month, as the winners of CT Lottery's Mega Millions. The group of REALTORS® are all a part of a "Lottery Club" at Al Filippone Associates of William Raveis Real Estate in Fairfield, Conn. They got to divvy up the $2 million prize, each taking home $64,516.13 (before taxes). 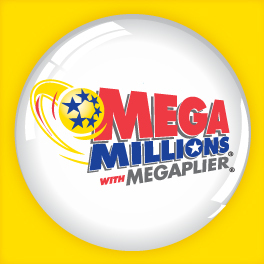 The winning numbers, drawn on August 24, were 1 - 6 - 13 - 18 - 49 (Mega Ball 8 and Megaplier 2), and were chosen at the Wheels Convenience Store in Fairfield. Almost immediately after the announcement, each of the winners began committing donations to different local and national charities. Since August 24, all 31 agents have either donated to a charity—with some 26 different charities already receiving a donation—or committed an amount to one. Karen Cross, SVP of Sales at Al Filippone Associates, organizes the Lottery Club and was the one who actually purchased the Mega Millions ticket. She tells Housecall that most of the winners have been doing some extra work from home since the ticket was claimed. "Some are paying off or down debt, some are planning trips, saving for their children's college funds, things like that," Cross says. "I haven't heard of anyone making any large purchases." She also tells Housecall that with all the press coverage, she's still yet to see any impact on the company's business. However, the agents who aren't in the Lottery Club this year have been asking about 2019 and whether or not Cross will be doing it again. "I do believe I will be continuing in 2019," she says. What’s the net payout after taxes? Not that but matters- it’s a bonus- like getting a commission without doing any work. Congratulations all! Congratulations to all the winners and the charities, sounds like the money is going to good things! !